Rich and luxurious crispy rice treats with extra butter, vanilla and double the marshmallows. They really are the best! These rice krispie treats are ridiculous. And that’s why I love them more than any other rice krispie treats I’ve ever had. These aren't your plain-jane, back-of-the-box-recipe crispy rice treats. These are rich and luxurious and vanilla-y because they have extra butter, double the marshmallows and vanilla! For an even MORE special treat, try using this recipe for homemade vanilla extract! And this recipe makes a big batch! As I've said before, I don't dirty up my kitchen for an 8x8 anything. If you want to win the bake sale, this is how you do it. Patsy PTA’s store-bought cupcakes ain't got nothing on these babies. And if you really want to blow everybody’s mind, add sprinkles to the top before they set up. Measure 10 cups of rice cereal and add to a large mixing bowl; set aside. Line a 13x9 baking pan with aluminum foil or parchment paper then spray very lightly with cooking spray; set aside. This step is optional - it just makes things easier to cut and remove from pan. Melt butter over low heat in a large pot. Once butter is melted, add all but 2 cups of marshmallows plus vanilla and salt. Cook and stir over low heat until marshmallows are completely melted. Once mixture is smooth, add remaining 2 cups of marshmallows and stir to incorporate. The extra marshmallows will mostly melt but those little lumps that are left are going to add little pockets of marshmallow awesomeness to the treats. Immediately pour marshmallow mixture over rice cereal and gently stir until cereal is evenly coated. Spread mixture into prepared pan. Using a spatula or the bottom of a second pan, press the mixture FIRMLY into the pan (do not skip this step - really pack everything down tightly or the treats may not stick together properly). Let treats cool to room temperature uncovered. Once set, remove from pan by lifting up on the aluminum foil then cut into 24-30 squares. Store in an air-tight container. Consider adding sprinkles for seasonal treats or just for fun! looks great! Pinned them so I can make them this coming weekend! Yum! 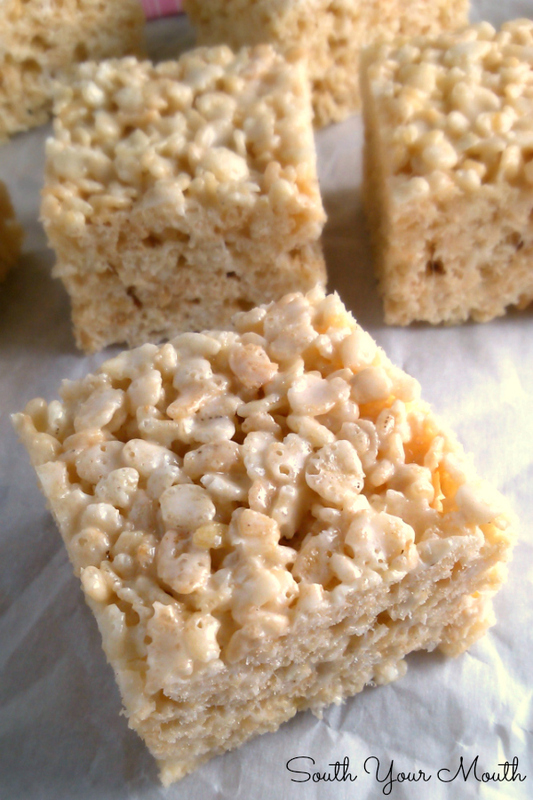 The best rice krispie treats I have ever had were made with browned butter and extra salt! But let's face it, I love them any way they're made! Yes to the browned butter and salt!! Completely takes them over the top. I took Smitten Kitchen's advice on that; delicious! Love these treats!! Pinning it!! What about adding peanut butter - how much would you recommend? I was looking for a way to use up leftover small bits of cereal....so I thought I'd try this. I used chocolate rice krispies and Kix. It turned out great. I used latex gloves sprayed with a little PAM. Worked great. Then I used another pan to smash them down. Loved the extra vanilla flavor. Will try the browned butter and salt next time. Thanks. Just found your blog via Pinterest from the Easter Menu post. Let me say I love your blog!!!! I'm thinking about making these for Easter and thought maybe I would use the pastel marshmallows, but I'm too lazy to separate the colors so regular mallows it is. I will add some sprinkles or something to Easter it up. 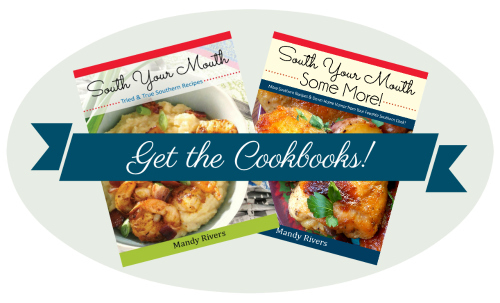 I'm usually not smitten with too many bloggers, but can I say again I love your blog! Um, can I say AMAZING! I lightly browned the butter and per boyfriend request, melted one bag mini semi-sweet chocolate chips and half a bag of butterscotch on top. Best RKT ever. Thanks so much for the recipe! Are there 10 cups in a box of rice crispies? Or does it take more than one box? I don't think any of the boxes have exactly 10 cups. I just buy the big box and measure out 10 cups. Does it work as well if you half the quantities... I don't think my mixing bowl is big enough for 10 cups! I would like to half the recipe, but I am also curious if anyone has ever tried margarine rather than butter? My son is very allergic to dairy... Thank you! We use coconut oil instead of butter.... YUM! VERY delicious!! How long should this bake for? 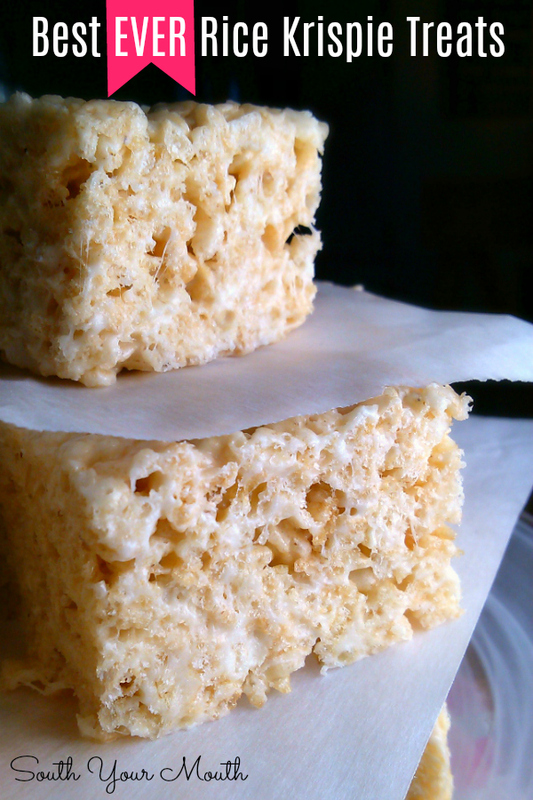 You don't bake rice krispie treats. will they still be soft if made the night before? Is it normal for them to always but so soft and hard to keep together? I still love the recipe's taste but I have now tried it twice with the same results. Just curious. Have you tried pressing the mixture down more? It says above that if you don't press firmly on the treats, they won't stick together as well. I only had 1 bag of marshmallows when I approached this recipe. I halved it and put them in a deep square cake pan. So thick and delicious! Thanks for posting! I absolutely love these! 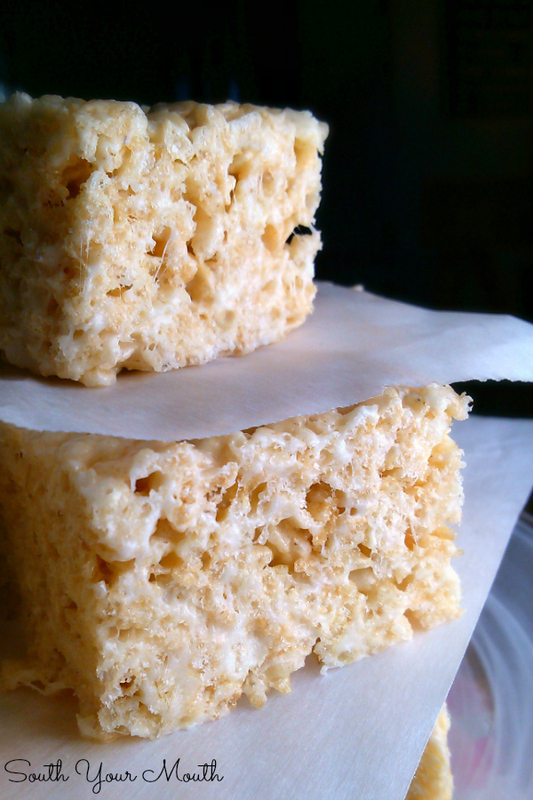 Best recipe I've come across hands down for rice crispy treats. Thanks for sharing! I really don't know since I've never tried it that way. Just made this recipe for my kids and it’s by far the best I’ve tried! Instructions are so easy to follow and makes a nice big batch - I actually had to use two trays. It has a great flavour (not sickly sweet and oh, that hint of butter.. = yum!) It all sticks together so well and cuts into shape perfectly. Thank you so much for sharing! I have made these before and they are delicious and your right, they are the best I've tasted so far😋. Thank you for sharing !! Would these work well if they were put on a stick? I've never actually made rice krispie treats before. But I would like to put them on a stick dipped in chocolate. Will this recipe work for that? Yes! I've done it using popsicle sticks.